Temprid SC has been discontinued. It has been replaced with Temprid FX Insecticide. 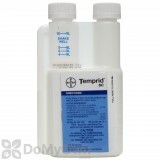 UPDATE: Temprid SC has been discontinued by the manufacturer and replaced with Temprid FX Insecticide. Temprid FX contains the same active ingredients as Temprid SC, but has a new label that allows for treatment of mosquitoes and use on ornamentals! Temprid SC (suspension concentrate) insecticide offers a unique dual mode of action by combining two powerful and effective residual insecticides: beta-cyfluthrin and imidacloprid. The result is Temprid, which provides quick knockdown and long residual control of more than 50 pests, including ants, spiders, cockroaches and other key perimeter pests. The dual action works extremely well on pests like ants, making it one of the best ant control products on the market. While Temprid SC is labeled for indoor and outdoor use, we recommend spraying outside and around the foundation of the home -- spray about 3 ft. up the side of the house, and about 3-5 ft. out from the structure from the base of the foundation (spraying directly on the ground) -- this will give you a powerful contiguous barrier against pests. The popular and powerful Temprid SC is now available in a convenient 8 mL dose for smaller applications or for one-time treatments. No separate measuring device is required, just use one 8mL dose per gallon of water for most applications, or use 2 x 8mL doses per gallon of water for clean-out or heavy infestations. The 900 mL bottle comes with a tip and measure feature. Temprid SC Insecticide is a suspension concentrate formulation of two insecticide active ingredients, imidacloprid and beta-cyfluthrin. These two active ingredients affect targets pests differently, offering complete and unique control for the toughest pests, even when resistance is a concern. Imidacloprid is a patented neonicotinoid manufactured by Bayer Cropscience. Neonicotinoids refer to the class neuro-active insecticides that are modeled after nicotine. Imidacloprid works by disrupting inhibiting stimuli transmission within the nervous system of a given insect when that insect either ingests or absorbs the poison into its body. More specifically, imidacloprid blocks a certain type of neuronal pathways which are much more prevalent in insects than mammals. That is why the chemical is much more toxic to insects than humans or animals. Because of its slower kill time, imidacloprid is used when a transfer effect is desired for treatment of social insects such as ants and cockroaches. Beta-cyfluthrin is a synthetic pyrethroid that attacks the central nervous system of target pests. Made to mimic the effects on insects of naturally occurring pyrethrum, man-made beta-cyfluthrin has the advantage of remaining effective far longer than pyrethrins. In Temprid SC, beta-cyfluthrin provides a quick knockdown for immediate control, while the imidacloprid provides long-lasting results and far-reaching control through a transfer effect. Temprid SC is a liquid concentrate made to be diluted with water and is best applied with a hand pump sprayer like the Chapin Premier 1 gallon sprayer. 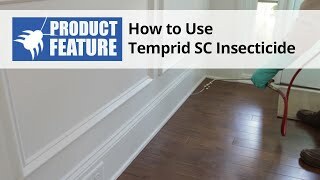 Temprid SC provides quick knockdown and long residual control of more than 50 pests, including ants, spiders, cockroaches and other key perimeter pests. The dual action works extremely well on pests like ants, making it one of the best ant control products on the market. While Temprid SC is labeled for indoor and outdoor use, we recommend spraying outside and around the foundation of the home -- spray about 3 ft. up the side of the house, and about 3-5 ft. out from the structure from the base of the foundation (spraying directly on the ground) -- this will give you a powerful contiguous barrier against pests. Temprid SC is also a powerful option for bed bug control in residential and commercial properties, even when resistance is a concern. Temprid SC is also labeled for many challenging ornamental pests and has low phytotoxicity on a variety of ornamental plants. Temprid SC (suspension concentrate) insecticide offers a unique dual mode of action by combining two powerful and effective residual insecticides: beta-cyfluthrin and imidacloprid. The result is Temprid, which provides quick knockdown and long residual control of more than 50 pests. Temprid SC is an insecticide that is effective for up to 90 days, controls more than 50 insect pests and requires a lower dilution rate, allowing you to get more product for less money. To use Temprid SC, begin by shaking the concentrate well. Dilute the proper amount of Temprid with the appropriate amount of water in a hand pump tank sprayer. For maintenance or preventative treatments, use eight milliliters of Temprid with a gallon of water. For severe infestations, longer lasting control and faster knockdown of flying insects, use 16 milliliters of Temprid with one gallon of water. One gallon of diluted Temprid will treat one thousand square feet. 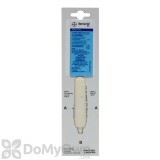 For convenience and easier measuring, Temprid SC also comes in 8ML single dose packs. For indoor use, use a low pressure stream on the sprayer to treat areas where pests are commonly found. Pay special attention to the cracks and crevices along window and door frames, baseboards, corners, pipes, behind and under appliances, wall voids behind outlet plates, and under sinks. After you have treated indoors, we strongly recommend using this product outdoors around the barrier of your home or structure to create a powerful barrier against outdoor pests. With a sprayer, apply Temprid from the base of the foundation out about two feet on the ground, spraying all the ground cover in that area. Spray from the base of the foundation up about two feet on exterior surfaces. Make sure to read all instructions and the entire label carefully to safely and effectively apply Temprid and keep pests away from your home. And it’s that easy with the expert help from Do My Own Pest Control dot com. Make sure to subscribe to our channel for more instructional and product videos. The Temprid 8ml Pack is great for treating small rooms or for one time treatments. In this video we will show you how to use them for your application needs. How to use Temprid 8ml packs. Here are the things you will need! Sprayer, 1 gallon of water, and Temprid 8ml pack. 1. Shake the 8ml pack to make sure the chemical is mixed. 2. Add a half a gallon of water to your sprayer. 3. Tear off tabs A, B, and clear tip. 4. Squeeze the 8ml pack into your sprayer tank. 5. Add another half gallon of water to the sprayer. 6. Shake the sprayer to agitate the mixture. 7. Now just spray the mix in the selected area. DoMyOwnPestControl.com Shop Now! Temprid SC can be used indoors as a spot treatment or as a void injection by mist, foam, or crack and crevice spray, and outdoors as a perimeter treatment, general surface spray, or foliar application to established landscape ornamentals. Always read the product label completely before use. Mixing Instructions - Shake concentrate before using. 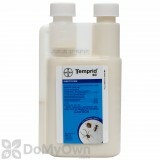 Mix the appropriate amount of Temprid SC Insecticide with water. Add product when filling spray tank with water; shake or agitate mixture. Diluted spray mixture can be stored overnight. Agitate before using. * Re-apply every 7 to 10 days, if needed. 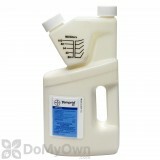 Each 400mL bottle yields 25 to 50 gallons of finished solution using standard application dilution rates. Each 900mL bottles yields 56 to 112 gallons of finished solution. One gallon of finished solution covers approximately 1,000 square feet. For high volume applications for outdoor treatments, dilute at lower concentrations and apply in greater volumes of water. In and around buildings and structures; On established landscape ornamentals around residential and commercial properties; buildings, structures, and modes of transport including: apartment buildings, bakeries, bottling facilities, breweries, buses, cafeterias, candy plants, cereal processing and manufacturing plants, correctional facilities, dairies and dairy product processing plants, factories, frozen food plants, grain mills, granaries, greenhouses (structures only), hospitals, hotels, houses, industrial buildings, kitchens, laboratories, livestock housing, pet kennels, manufacturing establishments, mausoleums, meat and produce canneries, nursing homes, pickle factories, poultry houses, processing and packing plants, restaurants, schools, spice plants, stores, warehouses, wineries and similar structures; food processing facilities (non food/feed areas), transportation vessels such as buses, trucks, trailers, rail cars, and marine vessels. Use 8-16 mL per gallon of water in a low-pressure system such as a hand pump sprayer. Treat where pests have been seen or found, or can find shelter. Use only as a spot spray, crack and crevice or void treatment. Treat entry points such as around water pipes, doors, windows, and eaves. Treat around where pests normally feed or hide such as baseboards, corners, around water pipes, behind or under refrigerators, cabinets, sinks, and stoves. For infested mattresses, remove linens and wash before reuse. Apply to tufts, seams, folds, and edges until moist. Allow to dry before remaking bed. Apply to bedsprings, box springs, and the interior of bed frames or headboards, including all cracks and joints. When bed bugs are found in upholstered furniture, apply only to the infested tufts, seams, folds and edges, but do not apply to flat surfaces where prolonged human contact will occur. If bugs heavily infest furniture (inside cushions and/or batting) apply a labeled insecticide dust. Temprid SC is not repellent to bed bugs, can withstand up to 8 hours of bed bug heat treatments (140 F), and prevents bed bug infestations for up to 6 months. * Do not apply as a broadcast treatment to floors or floor coverings or as a space spray. Use 8-16 mL per gallon of water; always use the higher dilution rate for fire ants, hornets, wasps, and yellow jackets. Apply to surfaces on buildings, porches, patios and other structures, around doors and windows, eaves and attic vents, utility entry points, soffit areas and other exterior openings where outdoor/perimeter pests enter the structure or where they have been seen or found, or can find shelter. To prevent infestation, treat the outside of the structure to include walls to a height of 2 to 3 feet and treat the soil, turf, or other ground covering adjacent to the structure in a band up to 10 feet wide. Ants – Locate and treat ant nests, if possible. Follow trails of foraging workers, check under objects near the structure, and inspect other likely nest sites. If ants are nesting in the soil, thoroughly drench or inject the nest and surrounding soil. Treat ant trails around windows and doors, along sidewalks, or other areas where seen. Apply a perimeter treatment as described above. Temprid SC contains a systemic insecticide (imidacloprid), so foliar application to landscape ornamentals provides locally systemic control of aphids, scale insects, and other plant-sucking insects and limit the production of honeydew (an important food source for ant populations). Apply a very light mist of the dilute spray, and do not allow excess run-off. Treat thoroughly for good coverage including the underside of leaves as these pests often feed or rest there. Wood-Infesting Pests – Dilute at a rate of 0.27 oz. (8 mL) per gallon of water. Apply as a spray or foam to galleries, structure voids, or soil or wood surfaces where target pests may be found. Treatment dilutions may also be applied to wood surfaces by paint brush or rollers. Do not apply directly to firewood. See product label for complete instructions. Two modes of action for optimal control of target pests. Low phytotoxicity on a wide range of ornamental plants. Delivers unsurpassed ant control, and also eliminates aphids, scale and mealy bugs. Can be applied indoors and outdoors (please refer to label for special precautions regarding indoor use). Can be applied outdoors as a perimeter spray 3 ft. up and 10 ft out from the structure. Labeled to control some perimeter pests that other products don’t. Combines fast-acting beta-cyfluthrin with the systemic residual control of Imidacloprid to provide premium performance. Low dilution rate means more finished solution from each bottle. Shake well before using. Product may separate if stored for long periods of time, but this will not diminish its efficacy. Do not contact treated surfaces until dry. People and pets may re-enter after the treated area is dry. Store concentrate out of direct sunlight and extreme temperatures for maximum shelf life. Use in conjunction with other formulations and products, such as insecticide dusts and aerosols, for optimum bed bug control. I used Suspend for Weeks on my bed bug problem. It helped and killed some but wasn't really doing the job I needed. I tested the suspend directly on some of my bugs and realized it was very slow to act or even if directly prayed still did not work at all. 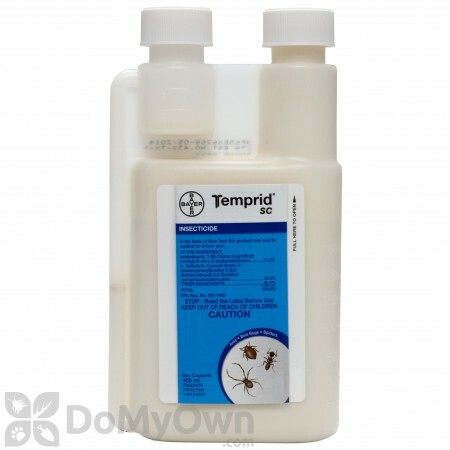 After consulting with the Bayer Rep I bought the Temprid and all I can say was WOW this stuff killed the bedbugs residually and immediately Overnight it was like my problem was gone and I still find one or two dead under the bed every few days as they try to make their way out for a meal. I think they are all gone now and all I can say is Temprid all the way. I had bed bugs in my home that were resistant to the Suspend SC product. I did some research and found the Temprid SC is the product to use for resistant bed bugs. I used this product along with the Gentrol and Diatomaceous earth dust and it worked great. I have not seen anymore bugs. I am a very pleased and happy customer!!! Treated various homes for German roaches. Followed up a week later and the roaches were walking over it like nothing was there. Also please note this product is not tank mixable with other products so you would have to use a new or chemically neutralized tank for it to be effective. Also it is not labeled for use with insect growth regulators. Also tested product on variety of ants, it is effective against household ants. I would still go with Termidor outside once you find the trail and Phantom on the inside. Especially for roaches, Phantom is your best option. Also phantom can be mixed with insect growth regulators, which will maximize effectiveness. We have only used one treatment so far, but the night we used it I saw one bedbug right afterwards. Since then we have not seen one. For weeks I could not sleep or relax in my home. Since we used temprid sc none of my family has been bitten at night. Not only have we not seen any bedbugs, we haven't seen ANY bugs. I am so happy my husband found this site and ordered this. Orkin was going to charge us $800! We used the temprid, sprayed with phantom and came out $600 cheaper! Thank you for selling this, and making it so that I was again able to sleep in my bed and nap on my couch without waking every 30 minutes to make sure no disgusting bedbugs were crawling on me or my children! How long does Temprid SC stay active as a residual? Temprid SC will stay active for up to 90 days indoors and for about 30 days outdoors. Is Temprid SC a repellent or non-repellent like Phantom and Termidor SC? Temprid SC has beta-cyfluthrin in it which is not a non-repellent product. It is a repellent insecticide. However, repellent these days does not mean the insect can sense that it is there and avoids the area. The insect actually walks over the barrier and gets the insecticide on its tiny microscopic hairs on its body and eventually dies. How long does it take for bed bugs to die once it crosses the Temprid SC residual? How long it takes the bed bugs to die after they come into contact with a treated area will depend on a number of factors. It will depend on the maturity of the bed bug as well as how long they stayed on the treated area, how long it has been since the area was treated and the concentration that was used to treat the area. Typically it can take anywhere from a couple of hours to a day or so for them to die. Is Temprid SC labeled for bedbugs? Yes, Temprid SC is labeled for Bed Bug control. Please see the supplemental label link under the product picture on the Temprid SC page on our website for more information. Temprid SC can be applied to the tufts, folds and seams of mattresses, boxsprings and upholstered furniture. It can also be applied as a crack and crevice treatment to all baseboards, moldings, beneath floor coverings and carpets, closets, shelves, curtains, furniture and picture frames that may provide harborage areas for bed bugs. How many gallons of spray will a 400 ML bottle of Temprid SC make? Temprid SC can be mixed at a lower concentration of 8 ml per gallon of water and a higher concentration of 16 ml per gallon of water. There is a total of 400 ml in a bottle. So at a lower concentration of 8 ml per gallon of water, Temprid SC will make 50 gallons of finished solution. If you mixed all gallons at the higher concentration of 16 ml per gallon of water, you would get 25 gallons of finished solution.